IT’S A THREE-PEAT!!!!!!! Sit-A-Pet was voted the BEST PET SERVICE in DC in The City Paper’s Readers Poll for the third year in a row. 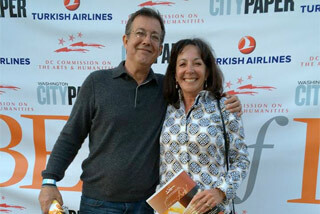 Debra Hollander and Jeff Hallman attended the “Best of DC” celebratory bash.